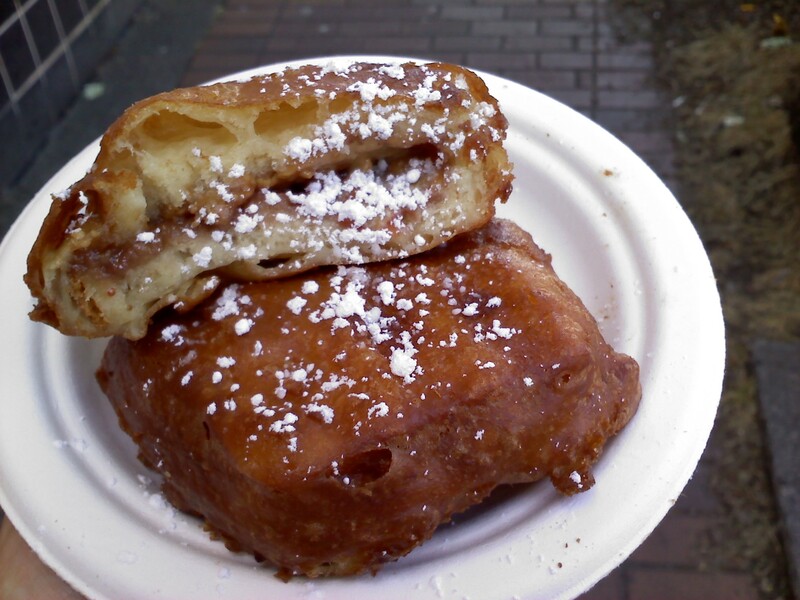 A few weeks ago at the Ballard Seafood Fest, my friend Nicole and I encountered this deep-fried treat, which has absolutely nothing to do with the ocean so I was a little mystified about why it was at a seafood festival. But hey–elephant ears are everywhere and nobody makes a fuss. I’ve seen all kinds of deep-fried foods, but this was the first time I had even heard of this particular item. It certainly wouldn’t have occurred to me to drop one of these in a Fry Daddy. At first it sounded totally disgusting, and then I was intrigued. Nicole and I agreed to split half of one. So what did we have? 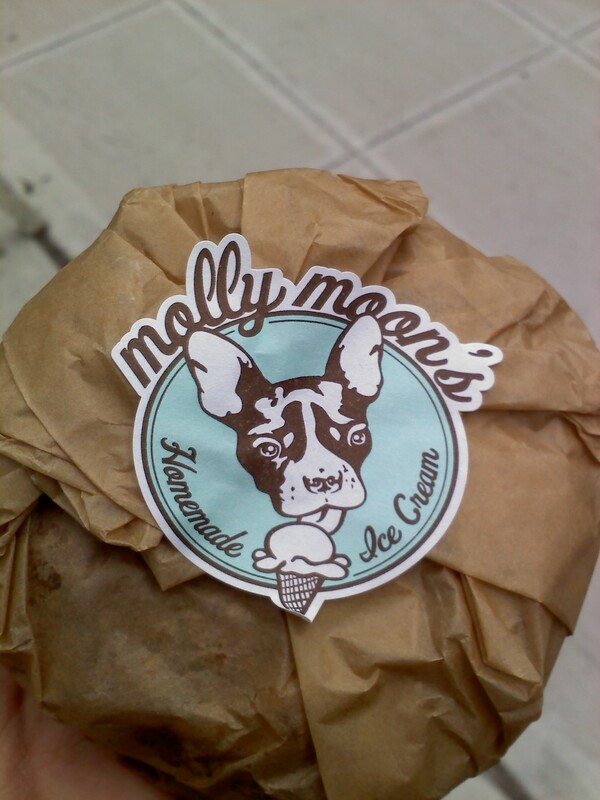 I’ve heard much about Molly Moon’s big blue ice cream truck named Leo, but I had never seen it in person until a few weeks ago. I had diligently been following the truck on Twitter for awhile, but wherever I was, Leo always seemed to be at the opposite end of town. Or worse yet, I would find out that I had just missed him. One day at work, I saw that Leo was going to be in Belltown. 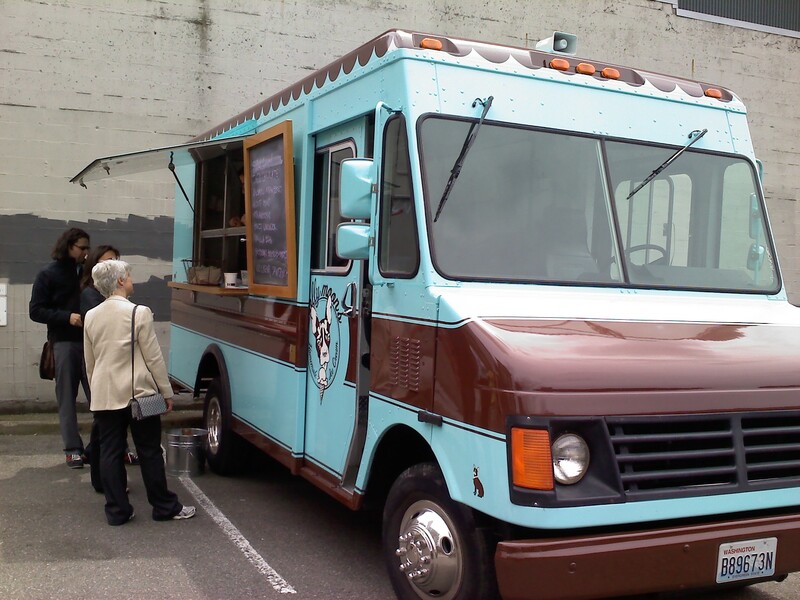 My office was many blocks away in Pioneer Square, and I had an afternoon booked solid with meetings, but I was determined to finally track down the truck. 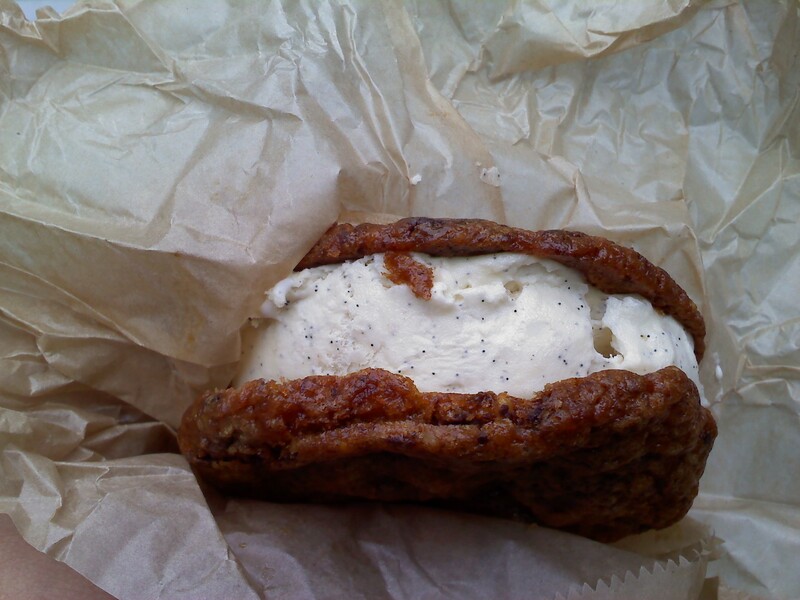 I went with the “Parker’s Praline” ice cream sandwich–soft praline cookies with vanilla ice cream. The savory side of Washington, D.C.
During a short trip to the nation’s capital last month, I had four dining experiences that represented very distinct cultures and approaches to food. 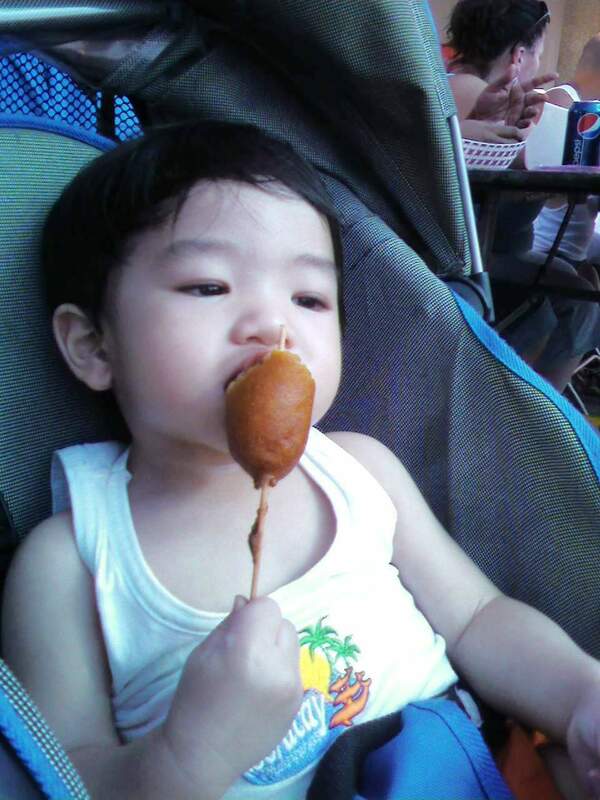 About a year ago my son had his very first corn dog at the White Center Jubilee Days. My husband and I didn’t know how it was going to go, and we watched anxiously as our toddler considered this new way to eat food–on a stick. Then he took a big bite and proceeded to eat the entire thing. Jubilee Days is a great opportunity to experience new things and a neighborhood many Seattlelites may not even know exists–White Center. It’s a gritty area with a tough past and present but also tenacious residents who are working to make White Center a place they can be proud to call home. The festival will be in full force this weekend, with events including a pancake breakfast, car show and shine, street fair, carnival and parade. Proletariat Pizza, Full Tilt Ice Cream, Taqueria La Fondita #2 taco truck and the Salvadorean Bakery. 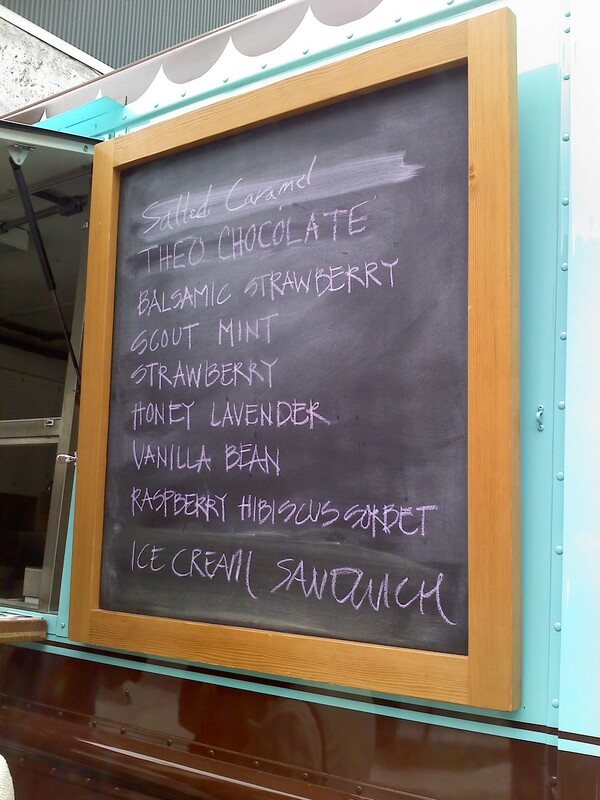 Better yet–try them all since they are within walking distance of each other. D.C. Cupcakes? I’d rather watch D.C. Cab. After I wrote the previous post about the proliferation of cupcake shops in Washington, D.C., I saw a commercial on TV for a new show called “DC Cupcakes.” It’s a reality show all about sisters Sophie LaMontagne and Katherine Kallinis and their shop, Georgetown Cupcake. After watching the first two episodes, I don’t think I’ll be back for more. Instead of building a show around compelling characters, the show’s producers try to make Sophie and Katherine interesting–when they really aren’t. As a result, everything–from the sisters’ cardboard narration to the “wacky” supporting cast including their mom and surly baker–seems very forced.